Okay actually they definitely aren’t. But they are decadent chocolatey-orangey deliciousness. My first attempt at doughnuts was a success. I can’t wait to try some new flavor combinations. But enough about that, let’s talk details. 1) Preheat your oven to 325 and start mixing up your dry ingredients. 2) In a separate bowl, mix your wet ingredients (vanilla, eggs, & buttermilk). 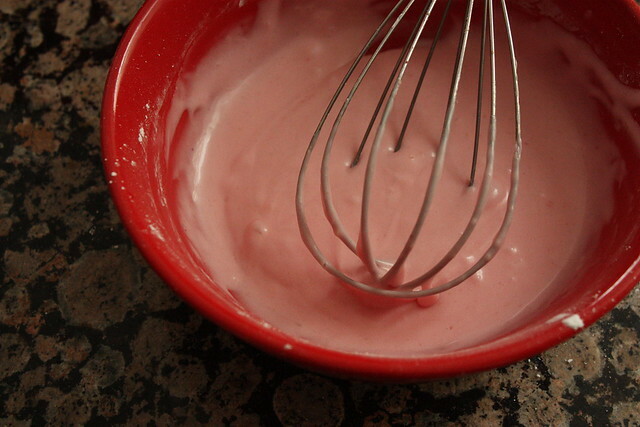 3) Incorporate the wet ingredients into the dry ingredients. Then mix in the melted butter. 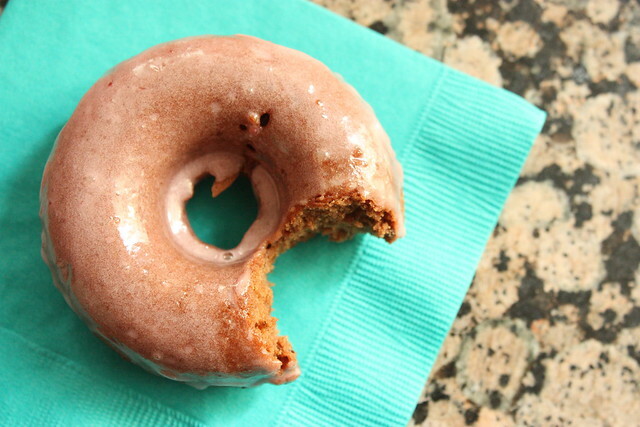 Spoon the mixture into your per-greased doughnut pan and put in the oven for 10-12 minutes. Mine took a bit longer to cook so adjust cooking time as necessary. They doughnuts are finished when they spring back after you gently press on them. When they’re finished take them out of the pan and allow them to cool down. 4) While the doughnuts are cooking, prepare your glaze. Simply whisk all of the ingredients together! 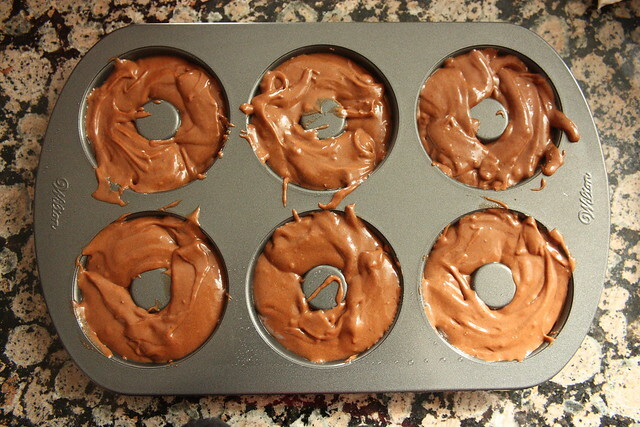 5) Once your doughnuts are cool dip them in the glaze. I triple-dipped mine but I was too antsy to wait for them to cool so my glaze melted off a bit. They still taste just as delicious even if you just can’t wait!! Have you ever made baked doughnuts? 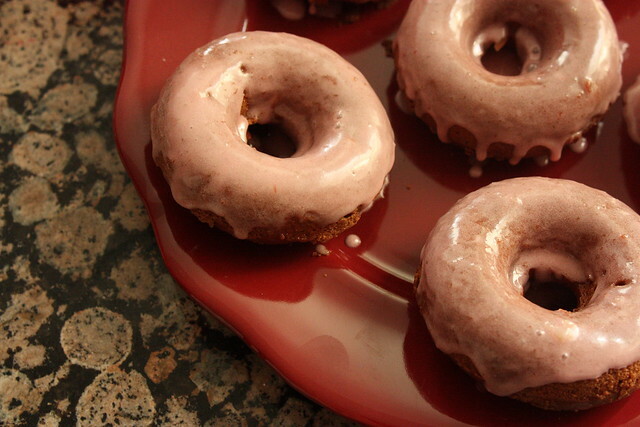 Eventually I’d like to try my hand at classic doughnuts as well (the lovely fried version). oh my gosh those look wonderful!